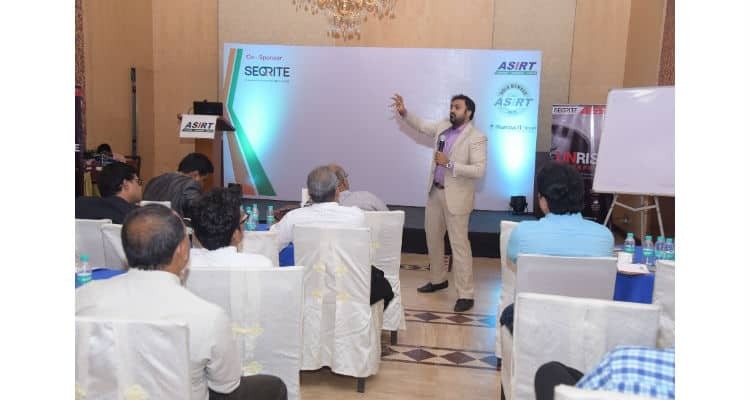 The Association of System Integrators and Retailers in Technology (ASIRT) hosted their monthly Techday for August recently at the Avion Hotel, Vile Parle, Mumbai. The lead sponsor partner for the evening was SEQRITE, an enterprise security brand from Quick Heal. The event also hosted Success Mentor and Strategy & Brand Consulting Expert, Mr. Basesh Gala who shared insightful tips on the secret of successful marketing and business strategy. The event started with a detailed presentation by Mr. Jyotish Werulkar, Country Manager, Enterprise Sales for SEQRITE. The Enterprise Security Brand from Quick Heal Technologies Ltd., SEQRITE offers an innovative and simplistic approach to cybersecurity, based on intelligent analysis of potential threats. With a holistic approach to network security, SEQRITE product offerings include Endpoint Security (EPS), Endpoint Encryption Solutions, Mobile Device Management (MDM), Unified Threat Management (UTM) and Endpoint Security Cloud solutions. Additionally, SEQRITE also offers critical services to businesses, which include Encryption – robust encryption of business data for optimal security, Comprehensive network security solutions for enterprises and MDM for mobile productivity without boundaries. ASIRT hosts SEQRITE for a unique session on Enterprise Security 0 out of 5 based on 0 ratings. 0 user reviews.